5. Houdini and Doyle: World of Wonders - Will you be watching? 4. 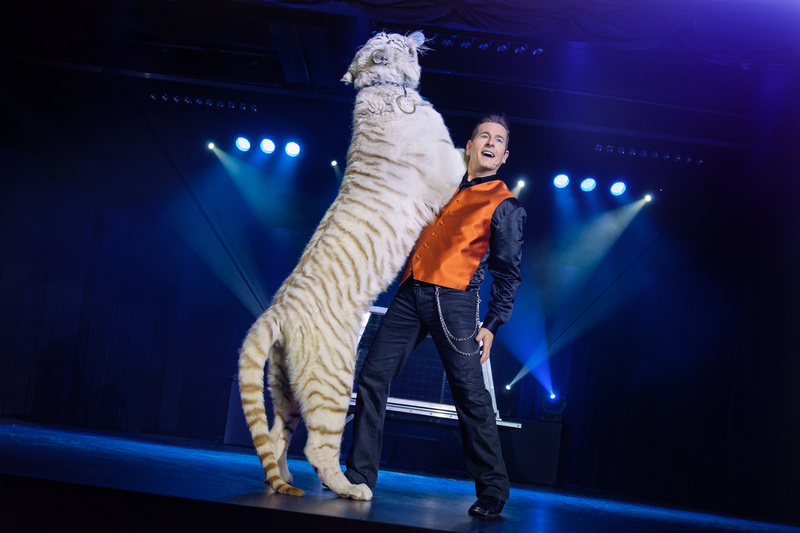 Greg Frewin in the Norfolk News - Great show for a great cause! 3. Shin Lim in the Huffington Post - Magic in mainstream media. It's in the most viewed list for the second month running. 2. Browser's Magic Bash 2016 recap - A great time was had by all! 1. Casting: new show for young magicians with Lance Burton - Did any Canadians apply? The “Diary of a Sorcerers Safari Newbie” is primarily based on the 2015 camp season. It is an aggregate of many perspectives and at times includes events from previous years. Tomorrow I go to Sorcerers Safari Magic Camp for the first time! I'm nervous. Mom said, “Alex, it's normal for a ten year old to be anxious about their first time at sleepaway camp.” That makes me feel a bit better. I hope I won't get too homesick. I wish I knew someone else who was going. I'm worried that I don't know enough magic. I know how to do the "cups and balls." But I don't know any card or coin tricks. I hope no one laughs when I try to shuffle cards. It usually ends in a big mess. I'm here! This place is awesome! We got up early and Mom drove me to camp. During the drive I kinda wished Dad was driving. Mom drives so slow I thought for sure we'd get here late. Turns out my worry was for nothing. We got here early and even beat the bus! Way to go Mom! Camp is huge!!!! The staff were waiting for us on a big field when we got here. Other campers were waiting too. A bus full of campers just arrived. Kids are laughing and cheering and hugging people as they get off the bus. People are asking if Eric Leclerc is going to be here this year. He must be awesome if everyone’s talking about him. Campers gathered on the field. They’re asking us to take our things to the cabins so I’m going to give Mom a hug goodbye and hope she doesn’t see that I’m sad and a little bit scared to see her go. If she starts crying I’ll be a mess. Don’t know when I’ll get a chance to write again. Exciting TV project in the works! We are now casting! Looking for talented Young Magicians to participate. Please share with anyone you think might be interested. As many of you are aware, I live-Tweeted and live-blogged this year's Browser's Magic Bash last Saturday. In this post I've consolidated (and edited) the blog posts and Tweets. (For the complete list of Tweets and photos check out this Twitter link to #BrowsersBash2016 .) It's a very long post. Click "read more" below to view it. Thanks for joining in. Thank you to our April 2016 Friends! Thank you to our April 2016 sponsors! Unofficial after party and jam sessions about to begin! Thank you all for helping the Browser’s Magic Bash dream become a reality! From Niagara Falls, it’s Greg Frewin! Today's the day! Let's do this! Drive traffic to your site with this in demand domain. If you are interested in purchasing, please contact the domain owner with your offer. Offers will be accepted until the end of the month. To experience the full impact of this announcement, set the date on your computer to April 1 and the time to 6am.